Buzz: Main Line Restaurant Week Launch Party at Sullivan’s! Join hundreds of the most beautiful people and local enthusiastic foodies for our official kickoff party at Sullivan's Steakhouse in King of Prussia, Thursday April 19th starting at 6pm! It is no DOUBT the most EPIC kickoff party for Spring Main Line Restaurant Week! Join hundreds of the most beautiful people and local enthusiastic foodies for our official kickoff party at Sullivan’s Steakhouse in King of Prussia, Thursday April 19th starting at 6pm. Sullivan’s will be showcasing their gorgeous NEW outdoor patio to our attendees as we launch MLRW in high style-like never before! There is no cost to attend, walk-ins are welcome, and we will be treated to incredible complimentary food from our fabulous friends at Sullivan’s all night long (6pm-9pm). A cash bar for all attendees will be in place. We expect a very large turnout so we highly advise arriving no later than 6:30. We will open the event space at 6pm. The party will be the official unveiling of Sullivan’s half-million dollar renovation—which includes the beautiful, new private dining area inside the restaurant and the fun, full-service outdoor patio! The patio is fully outfitted with HDTV’s and makes Sullivan’s the perfect place to watch the game in a comfortable, yet lively atmosphere. The outdoor patio, which is covered to protect patrons from the elements, will also feature heaters to keep warm on chilly summer nights. The patio seats 50 guests, while the private dining room—complete with 70″ HDTV for presentations, a separate sound system and microphone—can host approximately 60-70. KINDLY NOTE EVENT GUIDELINES: This party is strictly 21 and over. No cameras and video cameras are permitted in the party. Only pre-approved press will be permitted to take photos or video. Large bags are not permitted in the party. Attendees cannot enter event possessing flyers, folders, business binders, or any large pieces of marketing materials. And, do not forget Main Line Restaurant Week foodies! Sullivan’s returns to Spring Main Line Restaurant Week with a new, $20 3-course lunch value not to be beat and their popular $40, 3-course dinner menu. Click here to make your reservations with Sullivan’s for Spring Main Line Restaurant Week! 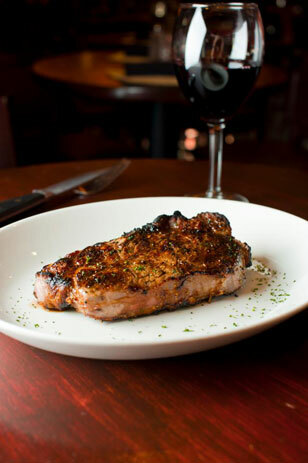 Sullivan’s Steakhouse is located at 700 West DeKalb Pike in King of Prussia, PA. To make reservations for Main Line Restaurant Week call 610-878-9025 or click here to make a reservation via OpenTable. « The Melting Pot Celebrates National Cheese Fondue Day!